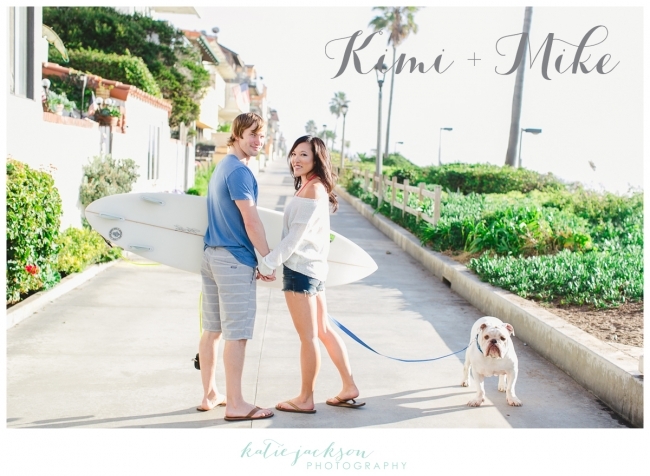 Kimi and Mike chose to have their engagement session in Manhattan Beach, just steps away from where they live with their cute bull dog Rocky. As Mike, grabbed his surf board and Kimi grabbed Rocky’s leash, I noticed the view from their doorstep. It was undeniably beautiful. Ocean and palm trees. What could be more California than that? Now, when I say it is just steps from Manhattan BEACH, I mean just that. Just a one minute walk from their doorstep and our feet were touching sand. 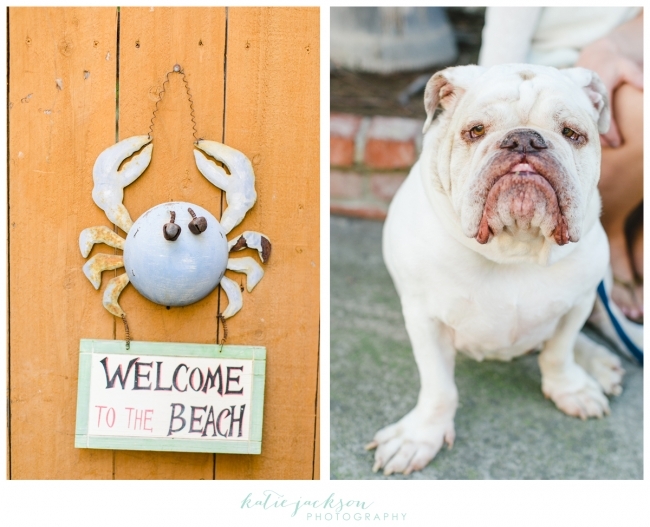 Mike is an avid surfer, so living close to the beach was a must for the two of them. Kimi and Mike are the perfect California couple and I don’t think Mike is even originally from California! After seeing how much these two really live the California life, I think Matt and I need to start taking surfing lessons or at the very least use our swimming pool for the first time. These next two images were taken literally two seconds apart. I first said, “Look at me” and then I said “Look at each other” and even Rocky turned his head at the perfect moment. BEST. DOG. MODEL. EVER. Despite being the best model ever, Rocky started to get bored of all of this gushy stuff. And he wasn’t afraid to show it. Kimi’s ring is to die for! Of course we had to stop for some ice cream! I love this next one! One of my favorites! Congratulations Kimi and Mike! I can’t wait for your wedding in June!